We call for a robust Treaty for the Blind outcome from the World Intellectual Property Organization's diplomatic conference. Any agreement must make it easy to share books in formats designed for blind and visually impaired readers with minimal barriers. Imagine not being able to get your hands on a single book you could read. For hundreds of millions of blind and visually impaired people in developing countries, this "book famine" is reality. But if we keep cynical corporate lobbyists at bay, we could end this book famine in a few days with a new global treaty. 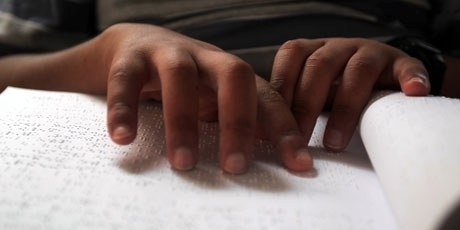 The Treaty for the Blind, 25 years in the making, would make it easier to distribute blind-friendly books. Things were going so well that negotiators finally scheduled a meeting to seal the deal. But in the last few months, lobbyists from corporations like Exxon, GE, and Disney -- who have nothing to lose -- have sabotaged the talks. Now the US and the EU are getting cold feet and the whole thing could collapse. If we expose the countries putting corporate lobbyists over blind people, we can shame them into supporting a deal again. Let's build a massive petition from around the world to put this treaty in the news and get Obama and other leaders to buck the lobbyists and do the right thing. Sign now, then share with everyone.